Okay, we all do love a good spreadsheet and when asked by our superiors and colleagues for report, it is the first place we turn to create it. Spreadsheets are easy to use, cheap and let’s face it, they are nearly universally understood in the world of commerce. However, as cheap and as easy as spreadsheets are, they can pose a huge threat to your business (particularly when it comes to time tracking). 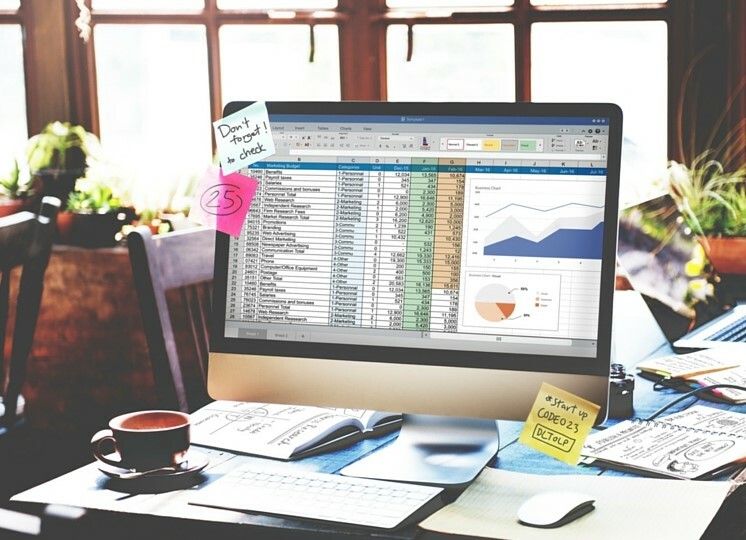 If your company runs on and relies on spreadsheets you may have already experienced some of the issues many other companies face. If not, here are a few examples of how spreadsheets can fail! A university of Hawaii study found that 88% of spreadsheets contain some type of error. Considering this, relying on a spreadsheet, for example for your financials, could end up costing you more. If you run a small company, managing your costs, both billable and non-billable via a spreadsheet may seem appealing at the beginning. But a simple error in a formula could be the difference between making a profit or suffering a loss. Has your company adopted a shared spreadsheet environment? Because you and your team cannot make real-time updates at any given moment and at the same time, you will end up with multiple revisions of the document. Thus, resulting in the possibility of input errors, lack of responsibility when errors do occur and losing the pleasure of having one source of the truth. This process can also be very time consuming. When it comes to data, whether it be customer information or financial information, security is needed to ensure your companies data does not fall into the wrong hands. Yes, with spreadsheets, you can protect it with a password. However, this means you can see all or nothing. This isn’t ideal, for example, if your tracking employees time. Say for instance you have a spreadsheet dedicated to a team and you have asked each team member to fill in time spent on different projects throughout the day. But, you as a project manager, also want the spreadsheet to be able to calculate non-billable hours vs billable hours and the costs associated with each. You will need to create a formula to work this out per hour per employee but if you want to be able to do this, all your team will be able to see what hourly rate each other is on. The way around this is to have two separate spreadsheets but this can be time consuming and also, you won’t be able to get a real time view on hours used, cost per hour and revenue per hour. Spreadsheets can cause much more harm than they are worth. Particularly nowadays (and lucky for us), there are so many software providers out there offering many different tools to assist with many different operational needs. Are you still relying on spreadsheets to track employee time and expenses? Take a look at 1Time Tracking and try out our free trial, you’ll never rely on a spreadsheet again!